Forging steel produces material of greater overall strength and toughness for parts and assemblies subjected to higher levels of stress. Forging is basically accomplished by applying localized mechanical pressure across the base steel, eliminating internal voids and gas pockets, while producing a unique oriented grain structure in the metal that delivers increased fatigue resistance. 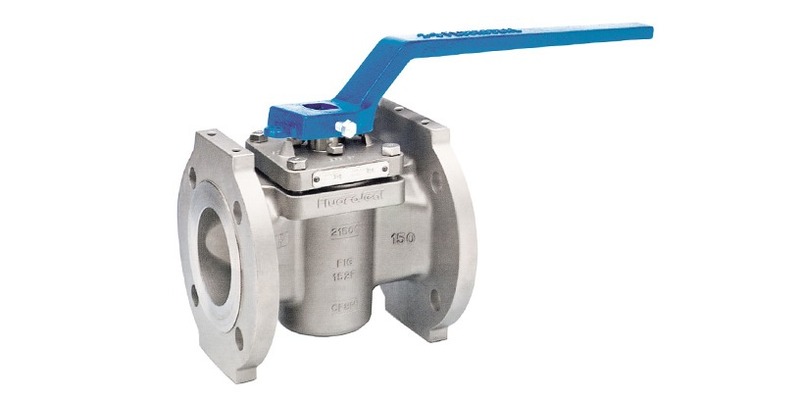 Higher pressure or temperature applications in fluid process control can benefit from, and sometimes may require, the use of forged steel valves. Their ruggedness and ability to hold up under tough conditions make forged steel valves a good choice for many uses throughout general industrial, oil and gas, and power generation installations. Forged steel valves are available in a broad range of sizes, connection types, and port configurations. 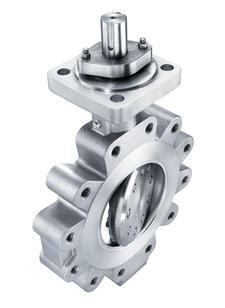 Crane, world class manufacturer of industrial valves, offers forged steel gate, globe, and check valves to provide options for flow direction, stop, and throttle control. 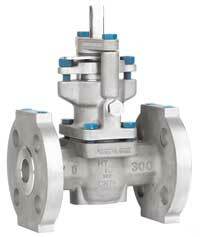 There are almost countless variants and configurations of industrial valves from which to choose. Share your fluid control requirements and challenges with an industrial valve expert, combining your own process knowledge and experience with their product application expertise to develop effective solutions. There are numerous manufacturers of severe service valves, each seeming to concentrate on a particular niche. Fluoroseal, a globally recognized manufacturer of lined valves for corrosive applications, has their own entry in the severe service arena that is based upon one of their popular general purpose valves. The focus for the FE Series valve design appears to be thermal cycling, excessive number of mechanical operations, and fugitive emissions. I have included a technical bulletin that describes and nicely illustrates (with a cutaway view) the various features incorporated in the valve design. You can always get more information, or discuss your special requirements, with a product application specialist. They have access to technical resources that can help with selecting the right valve configuration to meet your severe service applications. 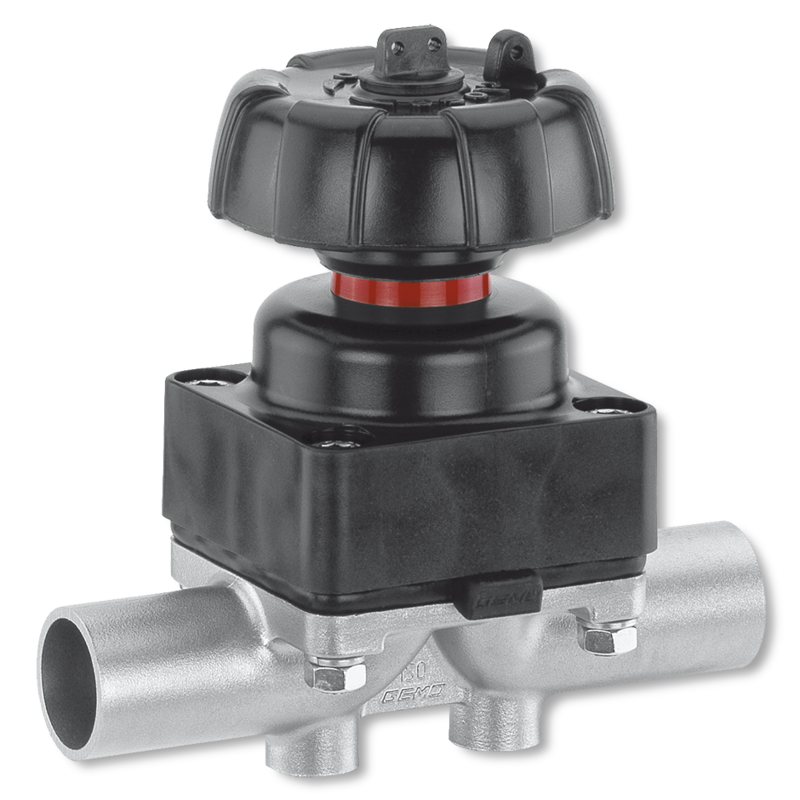 A check valve allows fluid flow in one direction (forward) and prevents it in another. They are employed extensively in industrial and commercial piping systems to prevent the reverse flow of a fluid that would produce an undesirable effect. 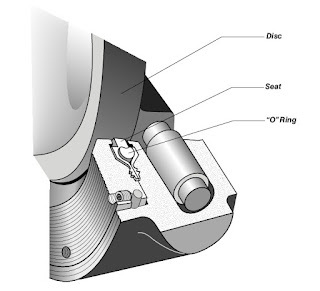 Numerous sizes and types are available to meet specific application challenges. Each check valve must be properly selected to accommodate the pressure, temperature, and flow characteristics of each system. Proper materials of construction must be selected to provide suitable service with the process media. 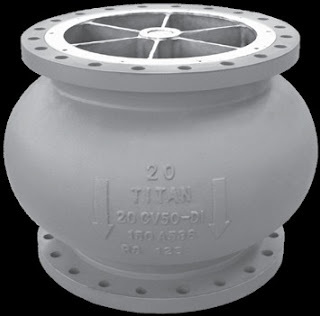 Check valves are commonly applied to protect pumps from any induced reverse flow in a system. 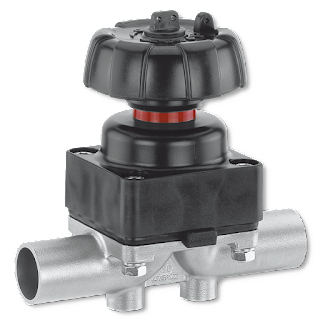 They can also be found in combination with other valves, providing assurance that the process fluid flows only in one direction. One manufacturer, Titan Flow Control, incorporates a number of features into a single unit to provide wide ranging application. 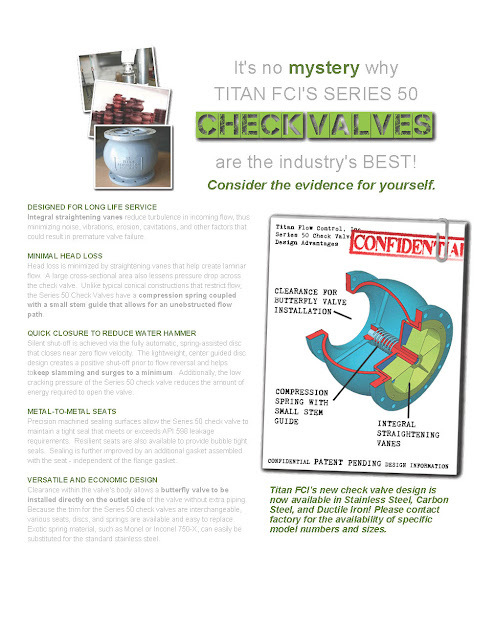 Features of the check valve are detailed below, along with a data sheet with more technical information. You can always get the latest available product data and solid application assistance from the process control specialists at Mountain States Engineering. Combining your process knowledge with their product application expertise will yield a positive outcome. 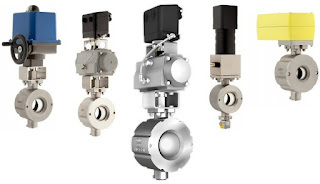 Crane ChemPharma Energy, a globally recognized manufacturer of industrial process control valves for an extensive range of industries and applications, has developed and released a new addition to its line of triple offset butterfly valves. The FKX 9000 series incorporates innovative design features to bring longer valve life, cost reduction, and superior performance in industrial applications where high temperature, high pressure, and severe service are present. The new valve series is available in sizes ranging from 3" to 24", with three body configurations and a host of special options for tailoring to specific applications. A flyer is included below that highlights the features of the new valve. More detailed information, as well as help with meeting all your fluid process control challenges, is available from the product knowledge and application support specialists at Mountain States Engineering. 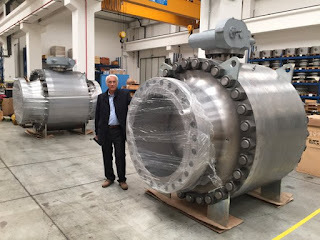 Gate valves are widely employed throughout the industrial process control field to start and stop the flow of a wide range of fluids and slurries. 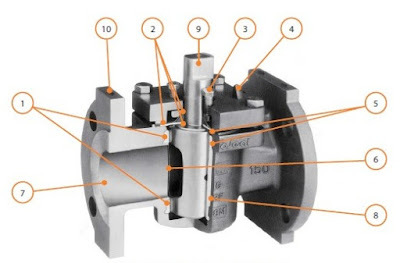 The common construction of a gate valve, with a solid wedge or disc that moves perpendicularly to the direction of fluid flow, tends to limit the application of this valve type to processes where fully open or fully closed are the desired valve positions. The comparatively large travel range of the wedge from open to closed, combined with a need to close the valve slowly to avoid hammering, saddles the common gate valve with a slow operating speed. Holding the gate at a partially open position has potential to induce vibration in the fluid, resulting in noise and possible negative impact on the fluid transport system. For this reason, common gate valves are generally not used in control applications requiring flow modulation . The limiting factors just described can be mitigated or eliminated with a modification to the gate configuration. Instead of a solid gate, two plates with matching orifice matrices are mounted in the fluid path. One plate is fixed and the other is moved by the valve actuator, sliding through a motion range that expands flow area by increasingly matching the orifice openings on the two plates. This gate valve design is often called a sliding gate valve and it is easily recognizable through its pattern of slotted openings on the gate. Straight through flow path with little turbulence. Flow is broken into multiple small streams by the orifice pattern, reducing the impact of the flow force on the valve trim. Suitable for fluid control operation, not just fully open or closed. 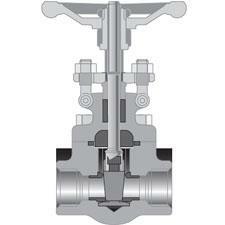 Travel distance and time from fully open to fully closed is significantly reduced, when compared to common gate valve. Every valve design has applications where it will tower over others in terms of overall performance. The variable orifice control valve (sliding gate valve) will prove to be the best choice for certain applications. Share your fluid process control challenges with an industrial control specialist. Combining your process expertise with their product application knowledge is a sure way to produce positive outcomes. Oxygen is used extensively throughout a wide range of industrial processes. Medical, deep-sea, metal cutting, welding, and metal hardening are a few examples. The steel industry uses oxygen to increase capacity and efficiency in furnaces. As a synthesis gas, oxygen is also used in the production of gasoline, methanol and ammonia. Odorless and colorless, oxygen is concentrated in atmospheric air at approximately 21%. 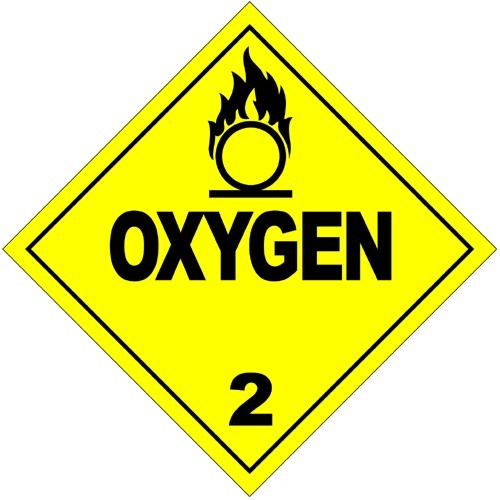 While O2, by itself, is non-flammable, it vigorously supports combustion of other materials. Allowing oils or greases to contact high concentrations of oxygen can result in ignition and possibly explosion. Oxygen service preparation of an industrial valve calls for special cleaning processes or steps that remove all traces of oils and other contaminants from the valve to prepare for safe use with oxygen (O2). Aside from the reactive concerns surrounding oxygen, O2 preparation is also used for applications where high purity must be maintained and valves must be free of contaminants. Gaseous oxygen is noncorrosive and may be used with a variety of metals. Stainless steel, bronze and brass are common. Liquid oxygen presents unique challenges due to cryogenic temperatures. In this case, valve bodies, stems, seals and packing must be carefully chosen. Various types of valves are available for oxygen service, along with a wide array of connections, including screwed, socket weld, ANSI Class 150 and ANSI Class 300, DIN PN16 and DIN PN40 flanged ends. Body materials include 316 stainless steel, monel, bronze and brass. Ball and stem material is often 316 stainless steel or brass. PTFE or glass filled PTFE are inert in oxygen, serving as a common seat and seal material employed for O2 service. Common procedures for O2 service are to carefully deburr metal parts, then meticulously clean to remove all traces of oil, grease and hydrocarbons before assembly. Valve assembly is performed in a clean area using special gloves to assure no grease or dust contaminates the valve. Lubricants compatible with oxygen must be used. Seating and leakage pressure tests are conducted in the clean area, using grease free nitrogen. Specially cleaned tools are used throughout the process. Once assembled, the valves are tested and left in the open position. 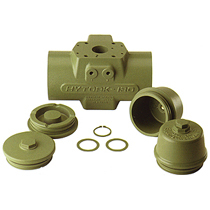 A silicone desiccant pack is usually inserted in the open valve port, then the valve ports are capped. A warning label about the desiccant pack's location is included, with a second tag indicating the valve has been specially prepared for oxygen service. Finally, valves are individually sealed in polyethylene bags for shipment and storage. Different manufacturers may follow slightly differing protocols, but the basics are the same. The valve must be delivered scrupulously contaminant free. The O2 preparation of valves is one of many special production variants available to accommodate your special application requirements. Share your valve requirements and challenges with a valve specialist to get the best solution recommendations. Industrial process control operations sometimes call for equipment to be placed in physical locations or environments that are not conducive to a long and productive component lifespan. Extremes of temperature, humidity, and vibration can have substantial effect on equipment performance and longevity. Deleterious impact can also arise from elements of the process itself, in the form of corrosive liquid or vapor prevalent in the processing area. While most industrial equipment is provided with some level of protection, there are instances where standard coatings and protective materials may not provide adequate resistance to the deteriorating impact of their installation environment. Valves of many types are used throughout industrial processes to provide control of fluid flow, with quarter turn movement being one of the more prevalent. Pneumatically powered quarter turn valves have an actuator option that provides a high level of corrosion resistance, along with the field proven performance of a recognized leading product. A durable Fluoropolymer impregnation (using CORROGARD-CG941) of the actuator body parts (inside and out) for maximum corrosion resistance. This durable impregnation can best be achieved in cast aluminum parts (all XL COMMANDO body parts are cast aluminum). As the aluminum metal grains are expanded under heat the CORROGARD-CG941 is applied, entering the grain structure and, upon cooling, is locked at the surface, integral with the grain structure. Extruded surfaces can only be coated and are more susceptible to scratches and other mechanical deterioration. 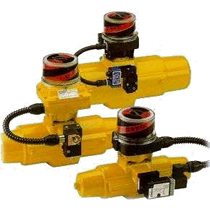 You can review the performance range, sizes, and other features of these pneumatic valve actuators through a review of the document included below. Bring your process challenges to a valve application specialist and combine your process knowledge with their product application expertise to achieve a solid practical solution. Butterfly valves are found throughout the fluid based applications in the process control field. 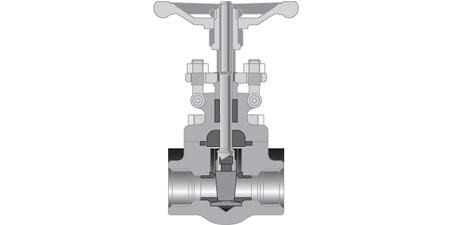 They are one of many common and special types of industrial valves used to regulate fluid flow in ways that are compatible with the media being controlled and the degree of precision needed to produce the desired process outcome. The industrial process control field benefits from a large array of valve manufacturers in pursuit of the favor and business of process operators. Operators continually seek better performance and lower life cycle costs. Manufacturers respond with increasingly improved designs. 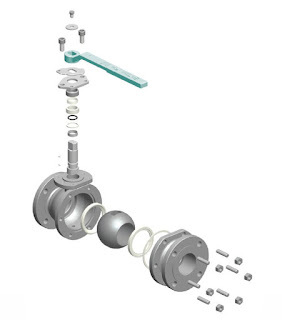 Flowseal, part of the Crane, CPE group of brands, utilizes their specially designed Soft Seat valve sealing arrangement on their resilient sealed butterfly valves. The Soft Seat feature provides beneficial fulfillment of process requirements for the attributes listed above. 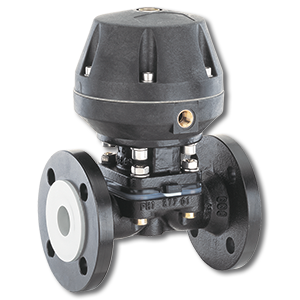 The valve is available in a range of sizes, with options and variants to meet a wide array of industrial process requirements. Learn more about the Flowseal Soft Seat butterfly valves by watching the short video below. You can delve deeper with a browsing of the illustrative brochure that is also included below. 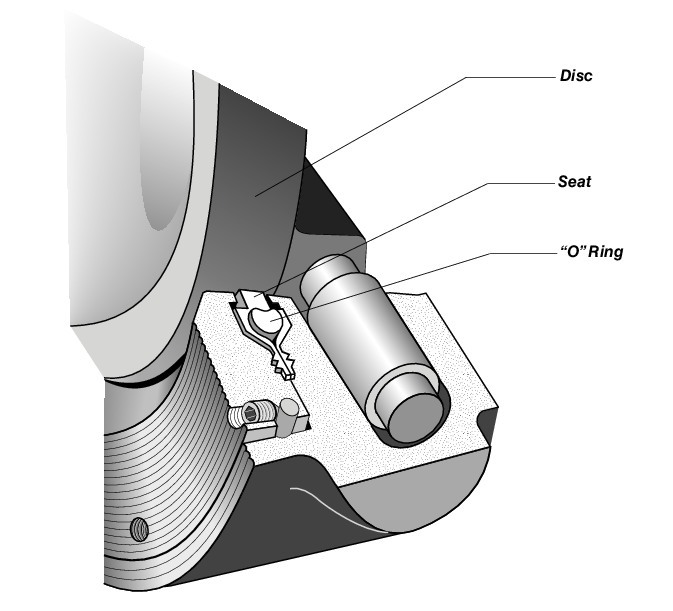 It provides some detailed illustrations of how the seat functions under differing operating conditions. Contact a product specialist and share your process challenges. Your process knowledge and their product application expertise, when combined, will produce a useful solution.